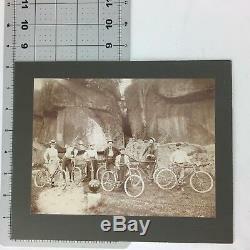 Memper Photo Antique Bike Bicycle Club Devil's Den Post Civil War C 1890. Measured Photo Dimensions: 8.25 in. Measured Card Dimensions: 10 in. 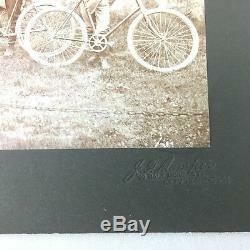 Photo has minimal marks on front with edges showing minimal wear. 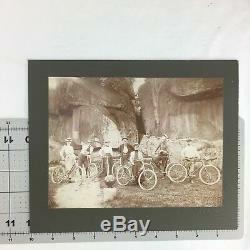 Photo has been stored in heavy plastic sleeve. 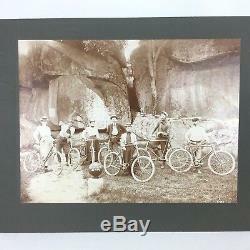 The item "Memper Photo Antique Bike Bicycle Club Devil's Den Post Civil War C 1890" is in sale since Wednesday, February 27, 2019. 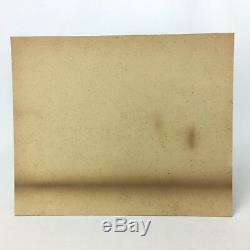 This item is in the category "Collectibles\Photographic Images\Vintage & Antique (Pre-1940)\Other Antique Photographs". The seller is "magmem100" and is located in Buffalo Grove, Illinois. This item can be shipped worldwide. Photo Measured Dimensions: 8.25 in. Measured Card Dimensions: 10 in.